"more than what you expect"
✅ Trip Verified | The lounge was open for every passenger of Bangkok airways, working myself in the aviation industry I find it amazing that this service is offered to every passenger traveling on their flights, I find it comfortable, nice personnel and good catering service. It is more than what you expect for what you pay. "charming and friendly smiling staff"
✅ Trip Verified | A good airport lounge-decent F&B and great facilities We have used this lounge three times, once using Priority Pass, once Emirates and this time with Bangkok Airways. All the major airlines use the lounge, The food offering is very good with hot and cold options and there is a full bar. Good free WiFi and immaculate toilets and showers. Work zone and private rooms for meetings. Great views of the tarmac and runway. Really charming and friendly smiling staff, so typical of Myanmar. "Staff is very polite and helpful"
✅ Verified Review | It was a domestic flight and all passengers of Bangkok Airways can use this free Bangkok Airways Lounge in BKK airport. It's a part of boutique airline policy. It's not far from the gates, Staff is very polite and helpful. Big choice of magazines and leaflets about Samui. There are other places in this terminal for food and drinks (of course you should pay). But there's no free Wi-Fi in general places, so this Lounge is a good place for using free Wi-Fi (Lounge staff provides you with username and password). "lounge decor is very nice"
✅ Verified Review | I'm sitting in this free economy class lounge right now, it's very noisy due to being overcrowded. When you have at least 3x A320s departing every hour, they should build a bigger lounge. The staff are polite, answer questions, but I didn't want to waste too much of their time. The food is great, there is a must try, It's a recipe called Khao-tom-mad. Or known as sticky rice with stuffed banana wrapped in banana leaves. It's the lounge's signature dish. 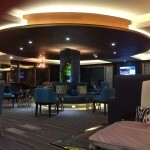 The lounge decor is also very nice, Light and pleasant. Wifi is also pretty fast, even though the download speed is sluggish I was able to send messages rapidly. 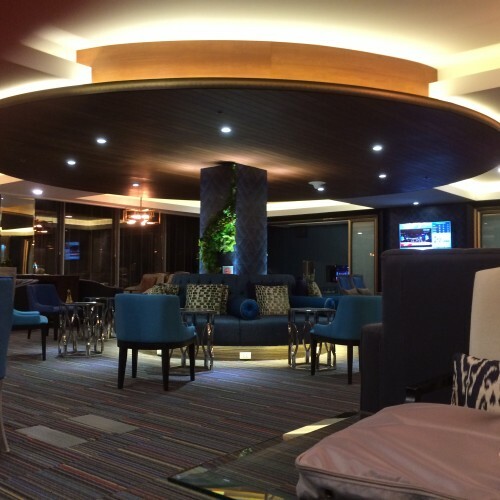 "a fine place to relax"
✅ Verified Review | Bangkok Airways Business Class lounge in Koh Samui is the only lounge in that unique airport - and the only room for passengers with air-conditioning as the pubic waiting area for all flights is outside (but under a roof). Fine interior and very friendly staff. Welcoming and asking for drink and small food items. 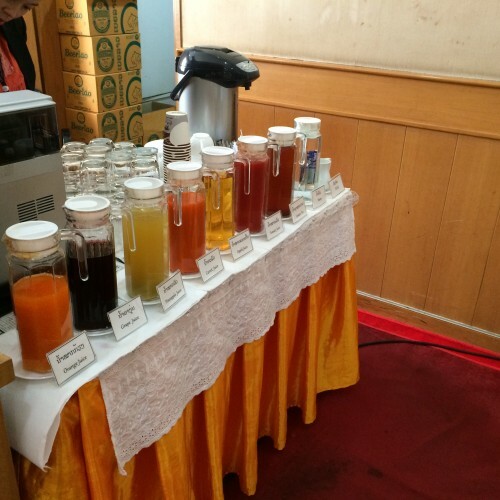 They bring it to your table, althought everything is also available at a buffet. Limited choice of newspapers, mostly Thai. But nice atmosphere and a fine place to relax before your flight. "good lounge with lots of space"
✅ Verified Review | Good lounge with lots of space, the lounge staff come to ensure you are comfortable regularly. There is a spotless shower room, a few hot food menu which are actually passable frozen food, other snacks are better and plentiful. There are a few wines at self service drink bar, Wifi is very quick. I found this lounge to be great, only downside is a constant announcement for flight information. There are only a few passenger in the lounge and I believe more personalized communication is possible. "with acceptable choice of food"
I found this free lounge for economy passengers a bit crowded, but with acceptable choice of food and drinks (non-alcoholic). As it's accesible for all the passengers you can count on little space at all time. Free wifi access is given at the entrance. A couple os PCs are available. No TVs with flight information. 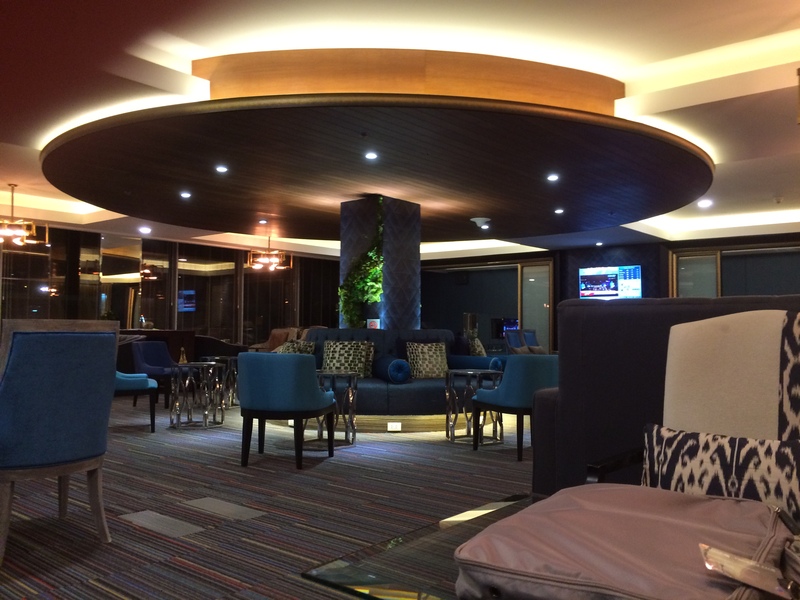 ✅ Verified Review | I upgraded to Bangkok Airways Blue Ribbon lounge by using AIS Serenade gold card; very well appointed lounge with waitress service to every seat. Hot breakfast on offer before my 07.00 flight. Nice choice of snacks and drinks available in a quiet calm well decorated lounge. Much better than the economy lounge next door. 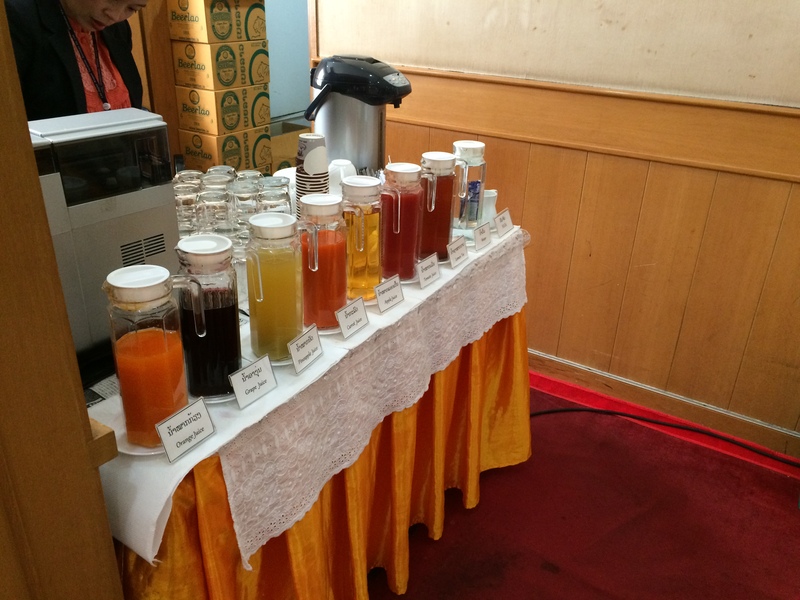 Bangkok Airways provides lounge service for all its passengers regardless of travel class. The lounge at Vientiane International Airport looks a little old and small but considering the small size of the Wattay Airport itself, this lounge is passable. 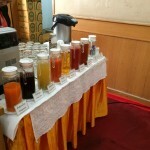 There were a wide variety of juices and light snacks available. I have to admit that it was quite surprising to find out that travelers for economy class can use a very cozy, free-of-charge Bangkok Airways lounge. The staff are very warm and helpful and a delicious options of snacks (limited though) and a coffee and tea machine. There's also free internet wifi connection. it is also remarkable to say that the service from the dropp off counter was amazing. Thumbs up for Bangkok Airways so far!